Pakistan is totally reliant on the surface and groundwater resources of the Indus Basin to support food, energy and economic security. Pakistan faces some significant challenges with more than 40% of the population malnourished, the number of people impacted by this is increasing with a rapidly growing population. These issues are exacerbated by unsustainable use of groundwater, changes in the seasonality of inflows, and limited storage (30 days of use). 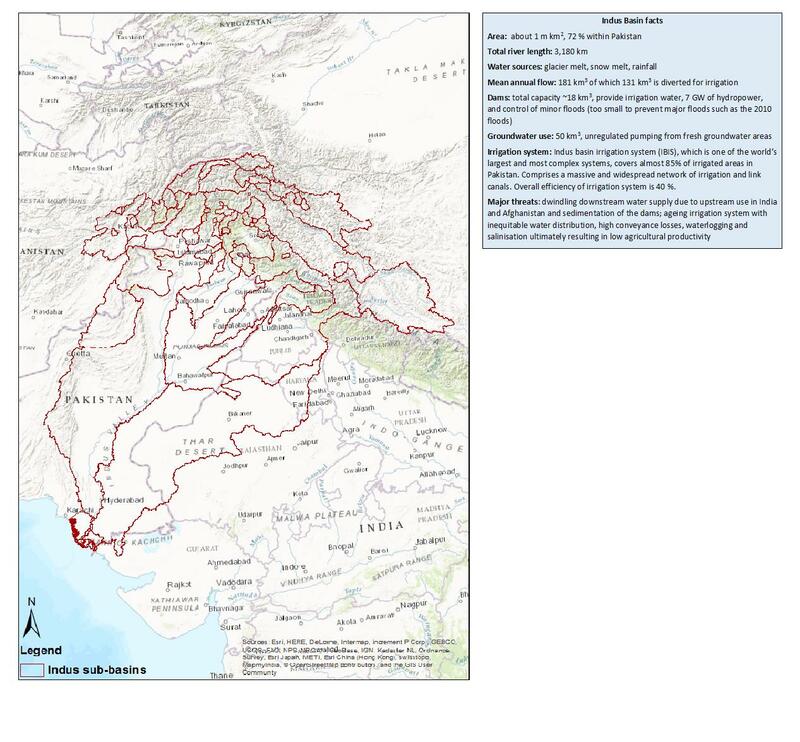 On this basis the Indus Basin is one of the most vulnerable river basins in Asia. Pakistan and Australia have a long history of working together and the similarities between the Indus and the Murray-Darling Basin provide a foundation for a strong water partnership. Building on this foundation, the Australian government through its Sustainable Development Investment Portfolio (SDIP) is helping Pakistan implement Australian water resource management technologies, and building local capacity in integrated water resources management and impact assessment. The project is led by CSIRO as part of a 12 year program funded by the Australian Department of Foreign Affairs and Trade and CSIRO. A transcript is available by clicking on the (i) information icon on this site. With limited storage, predictions of water availability for the coming irrigation season are important for the equitable and efficient delivery of water throughout the Indus system in Pakistan. SDIP is helping Pakistan to make better predictions of future seasonal inflows. SDIP is also assisting Pakistan to build a modelling framework that considers the interaction between surface and groundwater resources. When completed the framework will help Pakistan in understanding the impacts of climate, management interventions and infrastructure development on water, food and energy security and the associated impacts on people, particularly the poor and vulnerable. The implementation of Australian water management technologies and associated capacity building is supporting a more productive and water secure Pakistan. Food security analysis and Cropping systems modelling explore future food and water trends along with the implications of different water availability scenarios on food production. Investigation of women’s participation in various farm production activities as well as policies that lead to the gender pay gap and gender inequality in Punjab rice-wheat system. Infrastructure development: assessing the trade-offs between different development options. Understanding what this mean for the different provinces, local and downstream communities.